The West Midlands&apos; export surplus with China has widened to an incredible £2.76 billion. The surplus - the amount of goods shipped to the Far East compared to the amount brought in - rose from £1.74 billion in 2013. 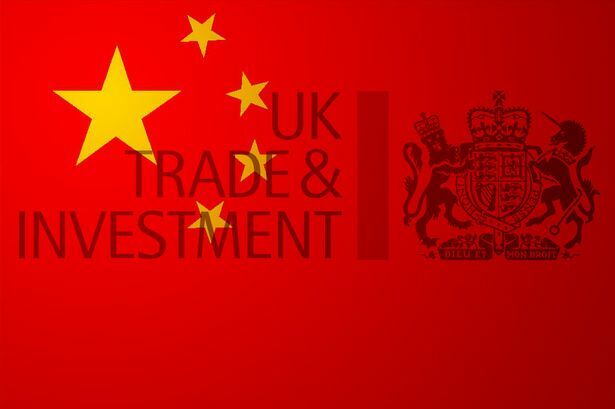 While the UK ran an export deficit of more than £20 billion with China in 2014, this region remained the only one with a surplus, sending out £5.3 billion worth of goods, a 32 per cent rise, and importing just £2.5 billion. The ongoing Far Eastern love affair comes on the back of soaring demand for Midland-made Jaguars, Land Rovers and JCBs. The data emerged as businesses headed out to Shanghai for the GREAT Festival of Creativity, to drum up more trade between the two nations. It followed a deal which will see a series of 17 return Beijing-Birmingham flights this summer, creating £19 million for the Birmingham and wider West Midlands economy. City MP Liam Byrne, co-vice chairman of the all party parliamentary group for East Asian Business, went back to legendary industrialist Matthew Boulton for the reason behind the success. My Byrne (Lab Hodge Hill) told the Post: "What is brilliant, and I think the reason underlying this, is a blend of design and industry brilliance. "It is basically the format Matthew Boulton created - he fused together brilliant products with brilliant science. Today, the Jaguar Land Rover production line has some of the best designs in the world and also the best technology. "We are building some of the most sophisticated and brilliant products on Earth and in China there is a ready market for it. We should be aiming to accelerate these markets - driving hard and radically expanding Chinese investment in the West Midlands. "The more we can tighten ties between China and the UK, the faster it will grow." The rising surplus with China came as the West Midlands saw exports rise for the sixth successive year, to £28.6 billion worth of goods last year. Exports from the region have almost doubled in six years as the region continued to buck a falling trend. However, if China is the darling of the West Midlands export market, India has to be the biggest disappointment. The subcontinent is expected to take over as the world&apos;s fastest-growing, large economy in coming years and yet only £275.4 million worth of goods were exported there from the West Midlands last year. Mr Byrne called this "anaemic" and said it needed addressing. He said: "India is a vital medium-term market. The key to success is uniting West Midlands engineering brilliance and the Indian market size. "That means a lot more cross-border M&A, backing for the Indian diaspora here who want to cross trade links and crucially a drive to recruit Indian students to Midland universities. "They are the business leaders of tomorrow. We want them to fall in love with Britain and there&apos;s no better way to foster that affection than with a good university education."